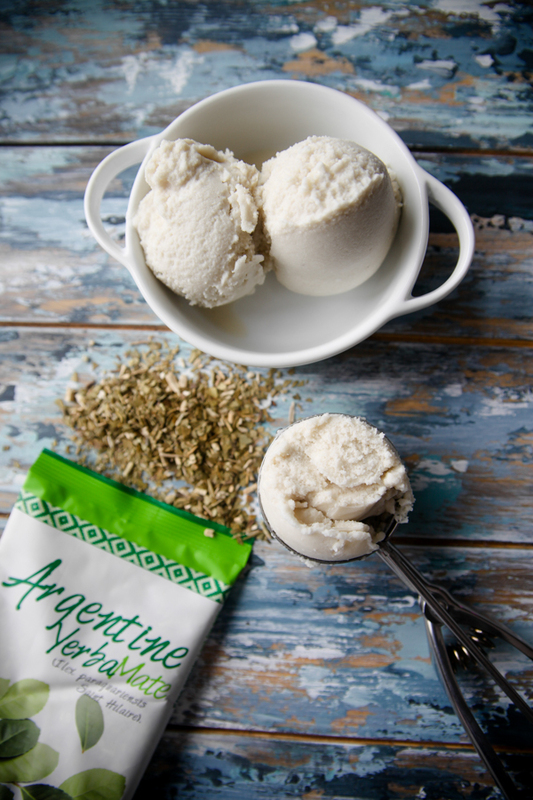 This post is sponsored by Argentinian Yerba Mate. The end result turned out to be better than I imagined, thanks to a secret ingredient: coconut milk! 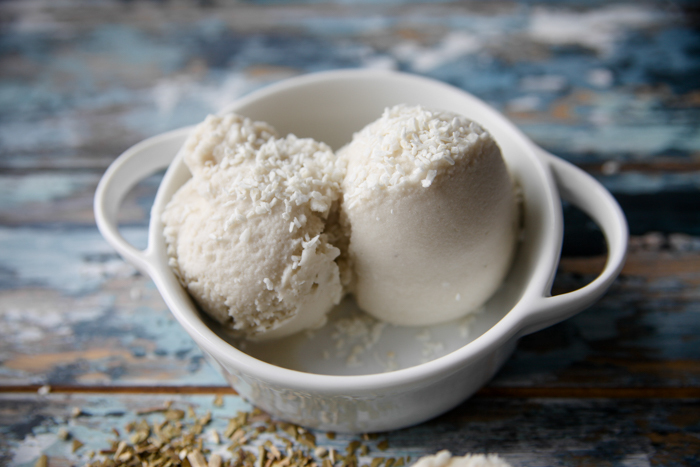 This sorbet is dairy free and made with just five simple ingredients: Argentinian Yerba Mate, honey, vanilla extract, full-fat coconut milk, and kosher salt. I know, I know… Sorbet generally is fruit juice and sugar, but since this recipe’s taste and texture is closer to sorbet than a rich ice cream, that’s what I’m calling it! It’s your favorite hot tea in dessert form! 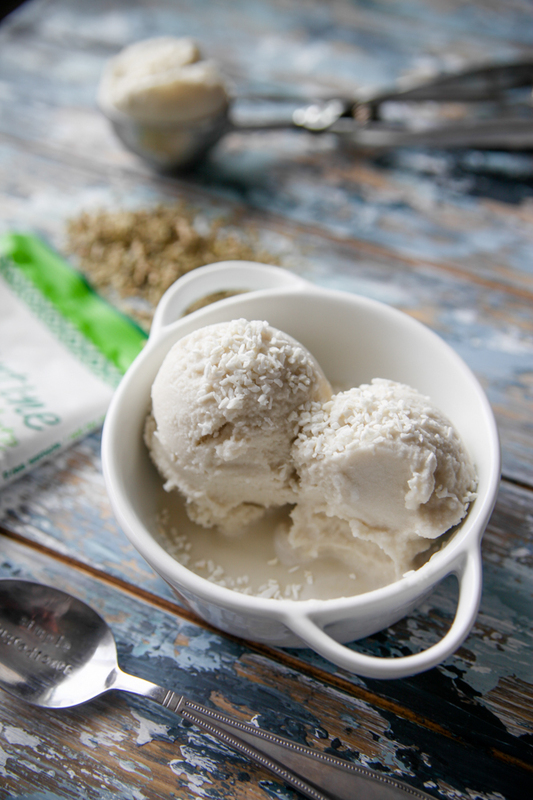 Add some more coconut on top to enjoy as sprinkles. 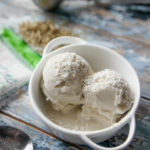 This recipe does call for an ice cream maker, and I haven’t tested it simply freezing the mixture solid, but you could certainly give that method a try. Begin by brewing your tea and allowing it to chill in the fridge. I find a French press is the easiest way to make loose leaf tea. Go ahead and add the honey here so it dissolves completely. 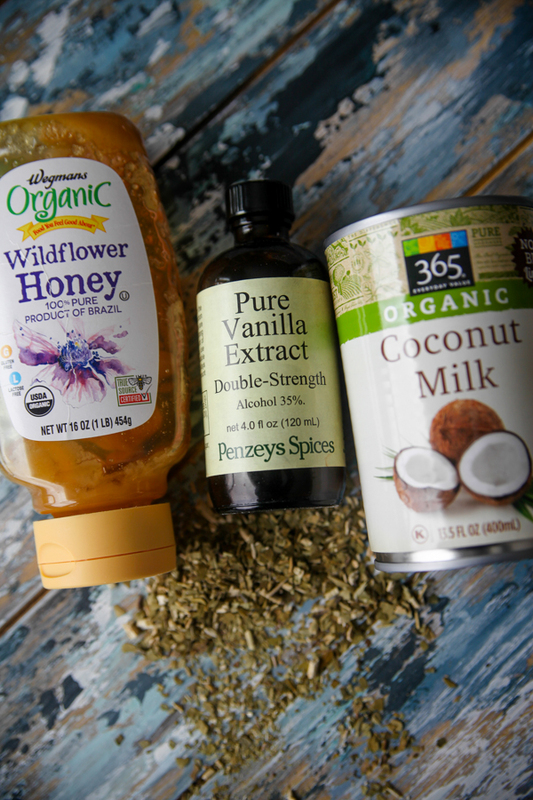 The tea will taste super sweet, but you’ll dilute it a bit with the coconut milk in step two. 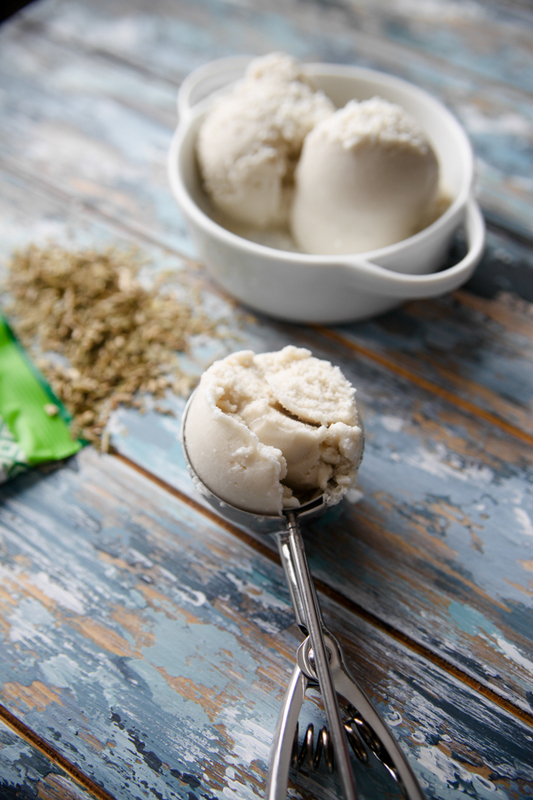 Once the tea is chilled (and also be sure your ice cream maker bucket has been in the freezer for 24 hours! 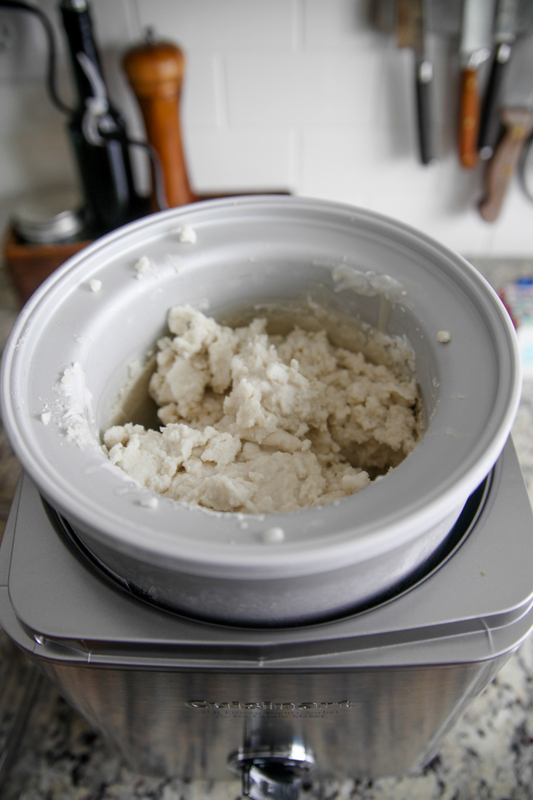 ), add the vanilla, coconut milk (the whole can), and two pinches of salt along with the tea, then churn for 30 minutes or so till it looks like so. It will be chunky frozen but not totally scoop-able yet. Transfer the sorbet to a storage container and press plastic wrap over the top to keep all air out. 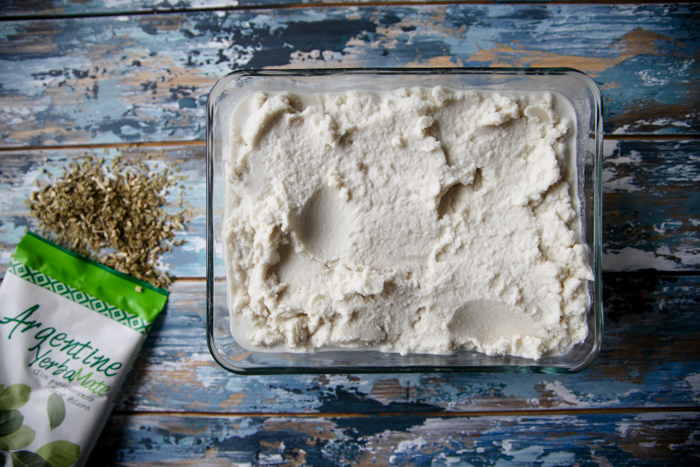 Freeze for an hour, until frozen solid. Then you’ll be able to serve some nice scoops to all of your friends! Sprinkle with extra coconut. 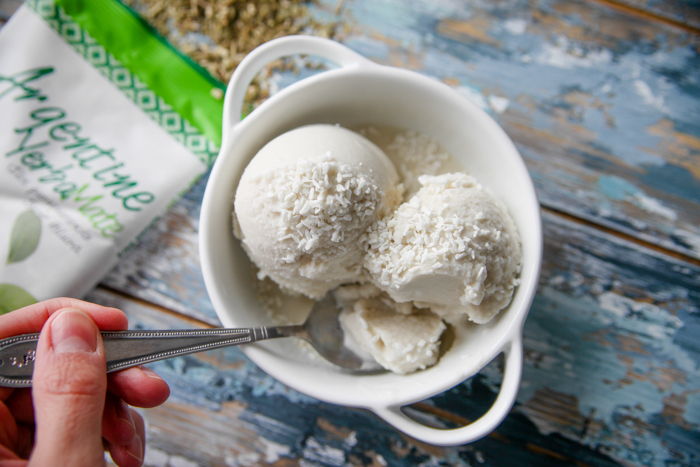 : ) The coconut and yerba mate flavors are very prominent. 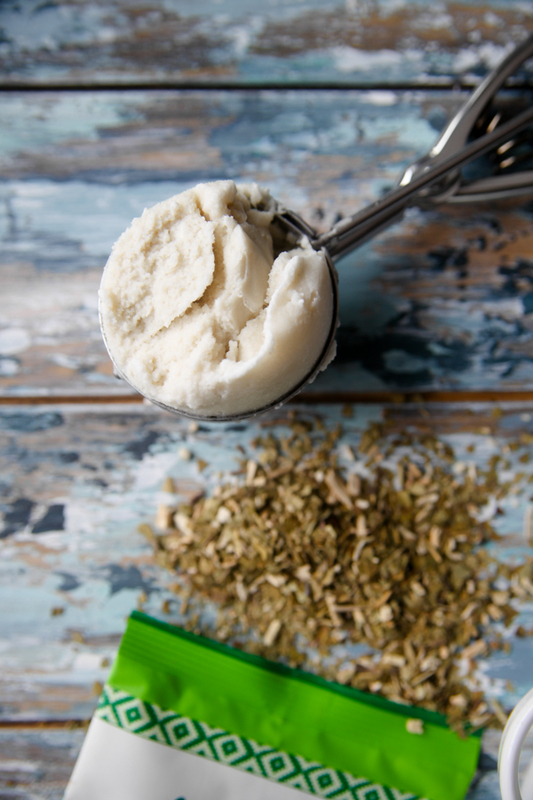 If you love both, you’ll love this sorbet. 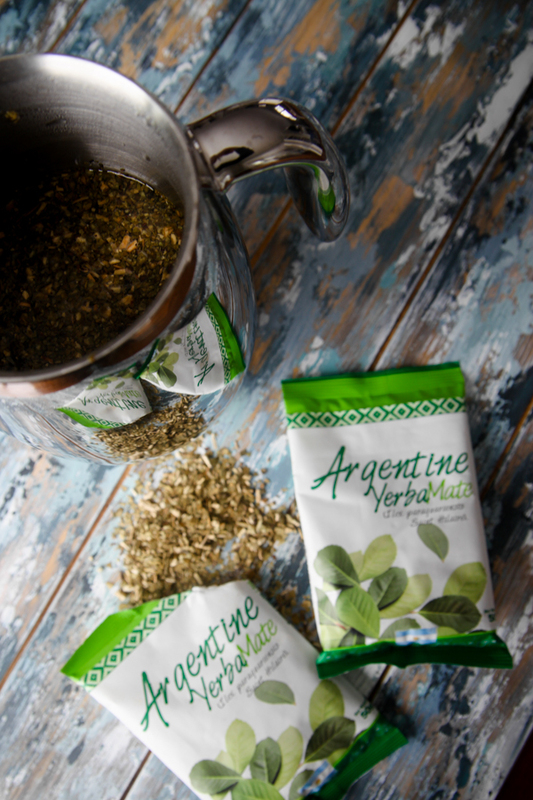 1/2 cup Argentinian Yerba Mate loose leaf tea brew to the strength of your preference! This post was sponsored by Argentinian Yerba Mate. This is a good idea- I might try it with other tea flavours! Is there any hope for me who has no ice cream maker? Yum! You need to come out with a cookbook! Kath, in your paragraph near the top that starts with “the end result” you need a comma after vanilla. Right now it reads as if you’re calling for vanilla coconut milk. I did read the recipe and see that you meant vanilla and coconut milk, but it had me confused until I got to the recipe. Thanks. That actually should read “vanilla extract” instead of extra! Then the commas make sense. Oops! Fixed. Thanks for bringing to my attention! This looks like something I would definitely want to try. Thank you for sharing!